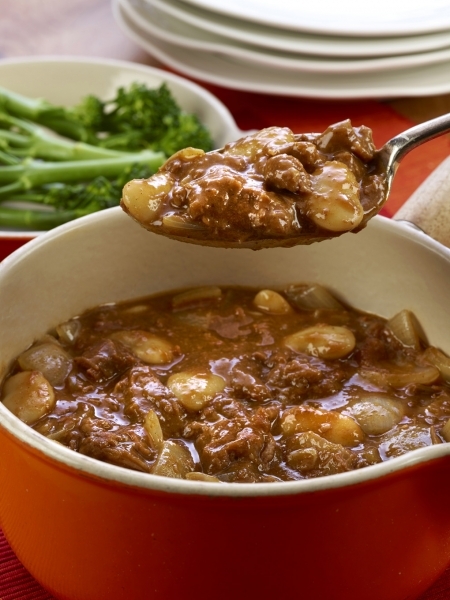 This tasty Steak & Butter Bean Casserole is made up of just four simple ingredients and only takes 20 minutes to make. Heat oil in a saucepan or flameproof casserole dish and fry onion for 5 minutes until golden. Add steak and butter beans, cover and simmer gently for 5 minutes until heated through. Alternatively replace canned butter beans with canned new potatoes.